Perhaps a few breeding pairs could be caught and shipped to the South Polar regions. South Georgia, Heard Island would be nice. Hell no, it’s dangerous enough down there already! Probably too cold for them anyway. As usual, based on models; that nature is defying the models should tell them something. Quite so. The models seem just always to be based on false assumptions. They are MAKING me do this, because they MAKE me hate them. LOL! Agreed! So they believe that polar bears didn’t survive the Holocene optimum (or RWP or MWP), or the last time the arctic was ice-free? The Greens will be extinct long before the polar bears. Well, I think that there are many issues that need to be discussed and that are related to the animal kingdom and climate change. All our life was and is influenced by that. It’s correct that the behavior of some animals can be changed by the climate change (for example, look at us, humans…. ), but still, if the animals change their behavior that could also be just evolution. Animals changed habits even before human intervention on climate. Global warming started way back, around 150 years ago, when human intervention was minimal. Earth has a cycle of warmer and cooler periods. Now we are in a period with higher temperatures. If you want to find more statistics about climate change please visit http://www.1ocean-1climate.com. You’ll find some interesting facts there! The truth: today is exactly the same temp as it was 150y ago; and in 150y from now will be still exactly the same – because: the earth ”Self Adjusting Temperature Mechanism” (SATM) is infallible!!! Warmings / coolings are NEVER global!!! They were at it again on the ABC this morning, adinfinitum, go tell China about it as Obama has given them the green light to not bother about reducing Carbon levels until 2030. 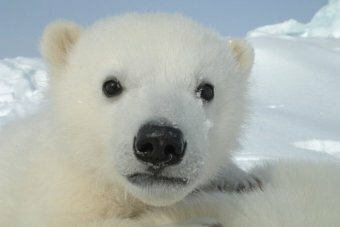 From the ABC news item: “Researchers believe the results have implications for other parts of the world too.” Amazing how the warmists can turn their models, in other words, their predictions or forecasts, into “results”, as though the polar bear catastrophe foretold has already occurred. Not so surprising that the ABC swallows that and regurgitates it to us, its audience, without chewing. The actual situation, that the evidence in the real world is that polar bear numbers have been steadily increasing, is a mere footnote to the message of doom. You wouldn’t like to tell the ABC that summer Arctic sea ice was able to support the search for Franklins boat would you and live?